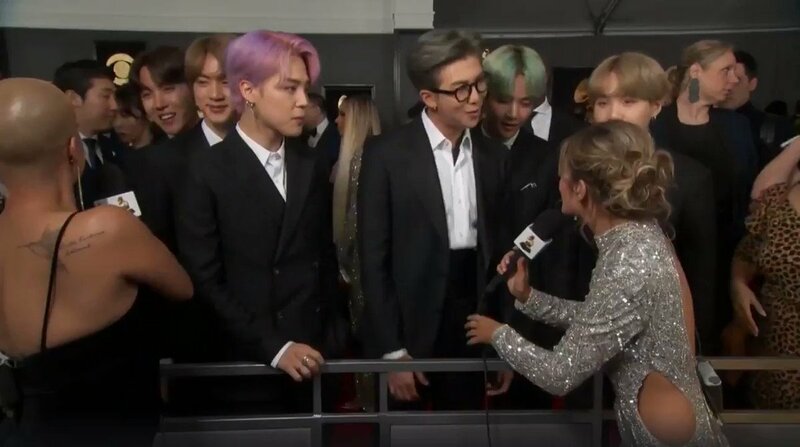 골든's tweet - "BTS Grammy Red Carpet interview (1) (facebook live ver) 방탄소년단 그래미 레드카펫 인터뷰 #Grammys #TearItUpBTS @BTS_twt "
🤣🤣🤣 Hobi! We love you. @RecordingAcad did their research!! GOOD QUESTIONS!! В:Вы приготовили что-нибудь на др ДжейХоупа? JHOPE STANNING JHOPE IS WHAT WE CELEBRATE. Hoseok promoting self love What a legend. Happy birthday jhope! We love you jhope!!!!! namjoon is doing such a great job! SOONER THAN LATER ::??????????????????????? BTCH SAY WHAT ??????? NOOOOO!!! They brought up Hobi's bday!! Jin and Yoongi's english. IM SAD!